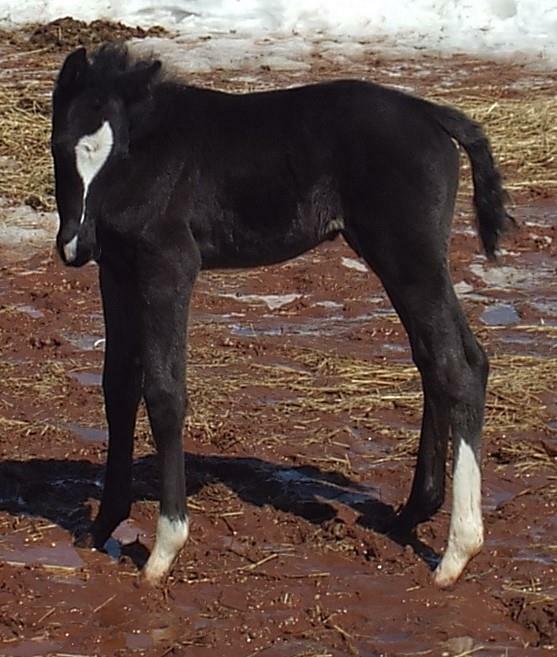 Aileron Stables is a small privately run Hanoverian breeding farm located on the eastern end of PEI, Canada. 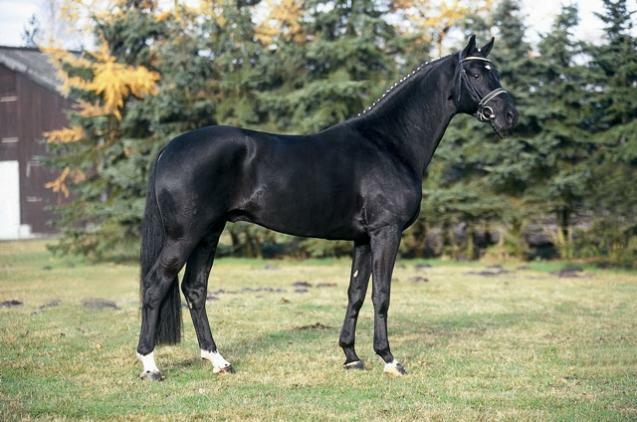 The farm consists of five broodmares, youngstock, and two Hanoverian stallions Schwarzenegger, and Dauphin. I hope you enjoy browsing through the pages and who knows... maybe happen across your next great partner. Pictured above: Sentry (Schwarzenegger/Hampton/Dauphin) 2015 HV colt. The horses enjoy having visitors, please touch base and line up a visit. Look forward to seeing you here! 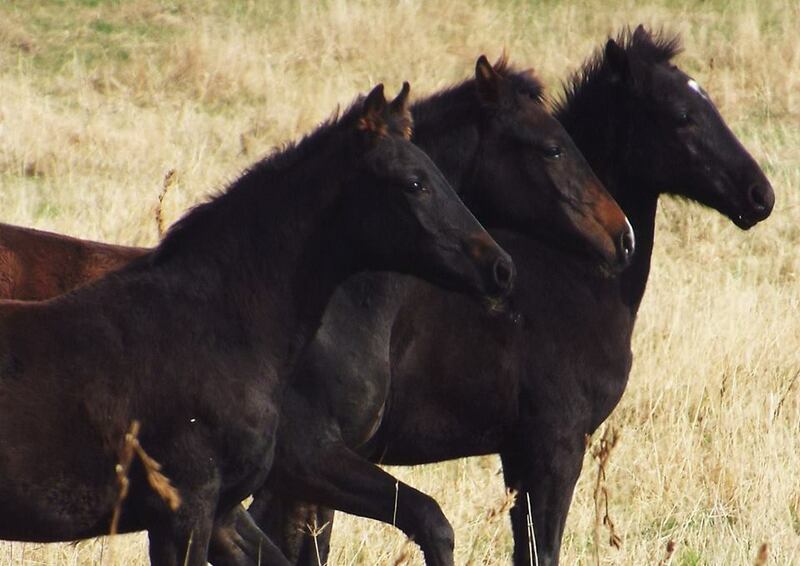 Pictured Below: 3 Schwarzenegger foals from 2014. From left to right: Svenja (Schwarzenegger/Weltruhm/Donnerhall), Salvador (Schwarzenegger/Certus/Welfenschatz), and Siskel (Schwarzenegger/Weltruhm/Donnerhall). Svenja and Siskel are full siblings born two days apart through embryo transfer.